The definition of a Masters Athlete varies by different organizational bodies and sports, with age specifications ranging from 18-50 years of age. For the purpose of this article, we will be talking about athletes aged 40 years and older, with some information specific to athletes ages 50+ and 65+. Bottom line, there are some nutrition and fitness tips that can help you optimize your performance no matter where you are on the Masters Athlete age spectrum. Understanding your energy needs and what you need to fuel your body is important for both performance and body composition. Evidence suggests that energy needs decrease as we get older, which may or may not be true depending on who you are as well as your age. Contrary to popular belief, the need for less calories as we age is not solely related to “getting older.” In reality, only 1/3 of the decline in our resting metabolic rate or BMR is related to aging. Doing less physical activity is responsible for the majority of why we need less calories. So what does this mean for a Masters Athlete? For one, continue to be active and understand that you need to fuel accordingly. Second, be honest with yourself about your true volume of training. As you become a Masters athlete, training volume and intensity will likely decrease concurrent with a greater need for recovery. Work with a dietitian to understand what you really need to be eating each day to fuel your training/everyday activity and optimize body composition. Speaking of BMR, let’s talk a little bit about muscle loss. Yes, muscle does utilize more calories than fat tissue, meaning people with greater muscle mass will need more calories per day. Muscle, obviously, isn’t just about getting another snack in the afternoon (although this can be another motivating factor to strength train). Muscle is important for strength, power, performance and injury prevention. Why is this important for Masters Athletes? Because muscle loss happens as we age if we don’t make a concerted effort to preserve it. Humans lose muscle mass at a rate of 3-8% per decade after the age of 30 and such loss accelerates after age 60. [ii] Thus strength training becomes a key part of the equation for all athletes over the age of 30 and should be potentially utilized year-round for older athletes, particularly those with bone health issues (more on that later). Strength training will help to preserve muscle mass, power, strength and performance. In addition, it helps keep your bones healthy. 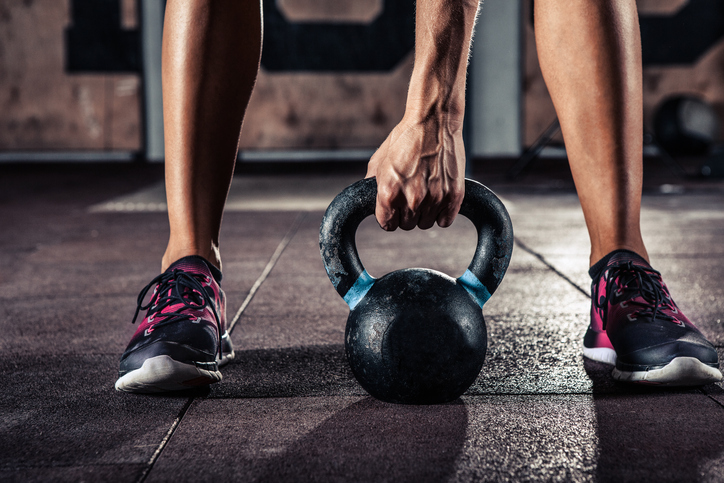 Strength training is not all you need to be doing to maintain healthy bones. You also need to be paying attention to your intake of both Calcium and Vitamin D. In addition to muscle loss, bone mass begins to decline after the age of 40 in both men and women. In women, this loss is accelerated post-menopause due a decline in estrogen production (low levels of estrogen accelerate bone loss in females). This physiological reality predisposes women to bone issues to an even larger degree. [iii] Thus, Masters athletes (of all sexes) need to ensure that they are meeting their needs for both Calcium and Vitamin D.
To put it simply, Calcium is an essential building block for bones and is critical to maintaining bone mass in older Masters athletes. Vitamin D is also important to bone health (among other things) as it facilitates absorption of calcium. Without Vitamin D, only 10-15% of calcium is actually absorbed, making this an important nutrient. It is important for Masters Athletes to get regular lab work done including a Vitamin D evaluation. First off, as people age, the skin’s ability to produce Vitamin D diminishes. Furthermore, our use of sunscreens and other factors can lead to Vitamin D deficiency and insufficiency, which can pose further issues. There is not a body of evidence to suggest that fat and carbohydrate needs differ with age. Fats should make up roughly 20-35% of calories, while carbohydrates should account for 45-65%. Regardless of age, carbohydrate needs increase with the addition of more exercise. As your training and intensity increases, so do your carbohydrate needs. This is the same advice we give to younger athletes, so there is not a big change in recommendation here. Protein is another story. Protein needs are higher for athletes of all ages. Athletes should also aim to consume protein at regular intervals throughout the day to maximize muscle protein synthesis and recovery (also called “Protein Pacing”). Recent research suggests that athletes 65+ may need even more protein than their younger counterparts to build muscle. In athletes younger than 65 years of age, we generally recommend ~20g of high quality protein per meal to stimulate muscle protein synthesis (MPS). However, according to Moore and colleagues, older adults should take in 35-40g protein including 2.5-2.6g leucine (a branched-chain amino acid) at each meal. Basically, it takes more protein to stimulate muscle building mechanisms in people older than 65. It can be hard to consume 35-40g of protein, particularly at breakfast. One way to supplement intake is to add an everyday protein powder to meals that are lower in protein. Cocoa Elite Everyday Whey is a great way to do this. There is no added sugar in this product, it is a food label rather than a supplement (provides a higher level of quality requirements), it is high in Cocoa Flavanols (supports a healthy circulatory system), it is patented for athletic performance (only product available) and contains a whopping 22 grams of high quality protein (including leucine). A few other micronutrients deserve a 50+ Masters athlete’s attention. Vitamin B12 is involved in maintaining a healthy nervous system, which is important for both sports performance and health. In athletes 50+ and those taking antacids, B12 is often not well absorbed. Thus it makes sense to ensure that you meet your B12 needs and get your levels tested along with your regular lab work. B12 is found in animal proteins, eggs as well as nutritional yeast. Vitamin B6 helps the body to utilize and make non-essential amino acids and is involved in protein metabolism. In athletes, B6 is obviously important to muscle function as protein is an essential building block for muscle. B6 is not as well absorbed in people 50+, thus Masters athletes need to ensure that they are meeting their needs for this micronutrient. Vitamin B6 is found in green leafy vegetables, legumes, fish, whole grains and fruit. Finally, paying attention to hydration needs is extremely important for Masters athletes. First off, total body water decreases as we age. At birth, total body water is 80% while older adults only have 60-70% total body water. Thirst sensation is also blunted as we age. Thus, Masters athletes may not have the same ability to detect dehydration that they once had. Third, after 40, Masters athletes’ renal mass and blood flow decreases. This makes it more difficult for the body to concentrate urine and, thus, increases water needs in Masters athletes. Finally, the concentration of the blood (or plasma osmolality) is higher in Masters athletes at rest. This means it takes longer to rehydrate after an intense exercise session or race. If you are a Masters athlete, it would be prudent to figure out fluid needs per hour in different environments to determine goal intake per hour (sweat rate testing, etc.). It also makes sense to develop a drinking schedule and detailed fueling plan prior to a race (particularly a longer-distance event). If you are training at moderate to vigorous intensities for longer periods of time (90 minutes plus), it may make sense to add a sports drink. Cocoa Elite makes a great endurance drink product, which is based on natural ingredients and meant for consumption during long bouts of exercise. The product has a balance of electrolytes and a good dose of amino acids in additional to natural sugars and cocoa flavanols. As you work to develop your hydration/fueling plan, work with a dietitian to dial in your plan for both safety and performance. The accomplishments and abilities of Masters athletes are seriously amazing. From Eamonn Coghlan, who ran a sub-4-minute mile after 40 to Madonna Buder, who completed an Ironman at 77, seemingly impossible feats are becoming more possible. Bottom line, there is athletic life and prowess beyond 40 years of age if you put wisdom to work. Consider each of the items outlined above to work smarter as a Masters competitor and to add more trophies to your shelf. [i] Karpinski, C. and Rosenbloom, C. (2017). Sports Nutrition: A Handbook for Professionals, 6th Edition. Chicago: Academy of Nutrition and Dietetics. [ii] Volpi et. al. (2010). Muscle Tissue Changes with Aging. NIH. Retrieved from: https://www.ncbi.nlm.nih.gov/pmc/articles/PMC2804956/. [iii] NCBI. Demontiero et. al. Aging and Bone Loss: New Insights for the Clinician. Ther Adv Musculoskelet Dis. 2012 Apr; 4(2): 61–76. Retrieved from: https://www.ncbi.nlm.nih.gov/pmc/articles/PMC3383520/.